What do crude oil and natural gas have in common with your couch? Many items you use every day contain oil and gas. This can include plastics, glass, steel, cement, DVDs, and even the materials in your couch. They are also used for heating, electricity, pharmaceuticals, ceramics, paper and countless other applications. Do you like to keep warm in the winter time? More than half of US homes use natural gas as their main heating source. Like to travel? Crude oil powers your car, truck and airplanes, and is used to build roads. In order to obtain natural gas and crude oil, drilling is necessary. Once drilling is completed, owner/operators bear an obligation to restore the site, to protect people and the environment. This includes removing equipment and plugging the wells. In order to ensure faithful drilling, water supply replacement, restoration and plugging, a Surety Bond is often required. A bond amount will be set for each well, and some states allow for owner/operators to have blanket bonds for multiple wells. 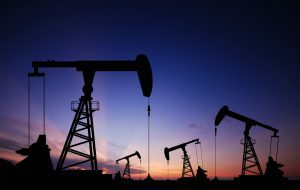 If you are an owner/operator for oil or gas wells and you need a surety bond, you must purchase it from a Surety through a licensed agent, such as SuretyGroup.com.